more working women = increased CSR initiatives? Gender inequality in the workplace has a significant impact on the corporate social responsibility (CSR) movement. According to a report on catalyst.org, “…new data from Harvard Business School suggest that gender-inclusive leadership and corporate social responsibility (CSR) are linked.” Researchers found that companies without women executive leaders contributed less to charitable funds than companies with more gender-inclusive leadership teams. 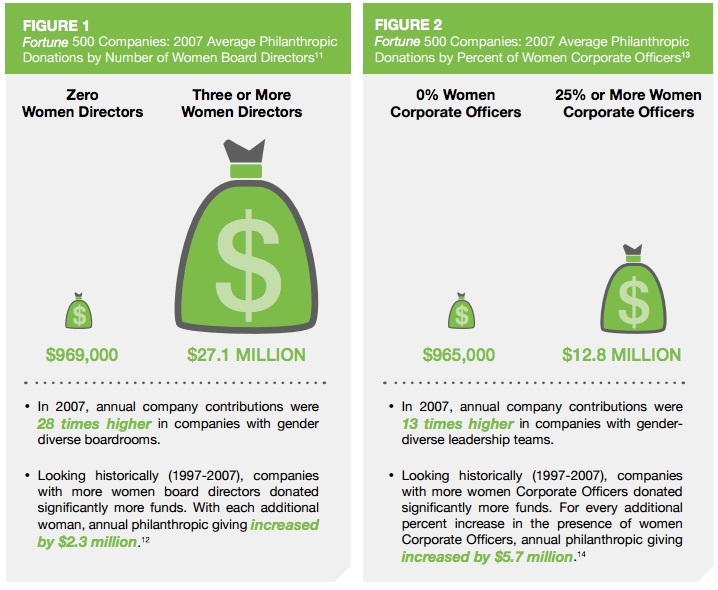 In addition, the report notes that “…gender-inclusive leadership is linked to increased philanthropy as well as increases in other CSR areas, such as environmental CSR.” Companies should begin to take note of this research and create gender-inclusive environments that will lead to increased high-quality CSR programs.